In Pics: 14th President of India, Ram Nath Kovind’s swearing-in ceremony! 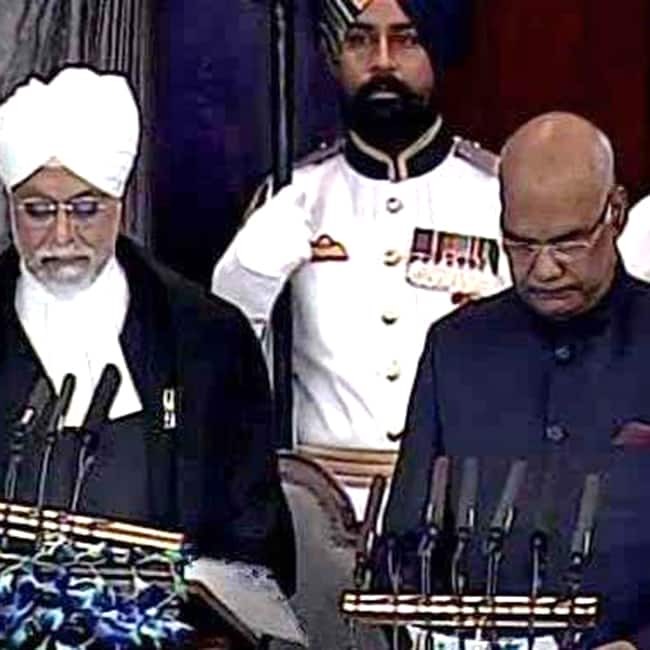 In Pics: 14th President of India, Ramnath Kovind’s swearing-in ceremony! 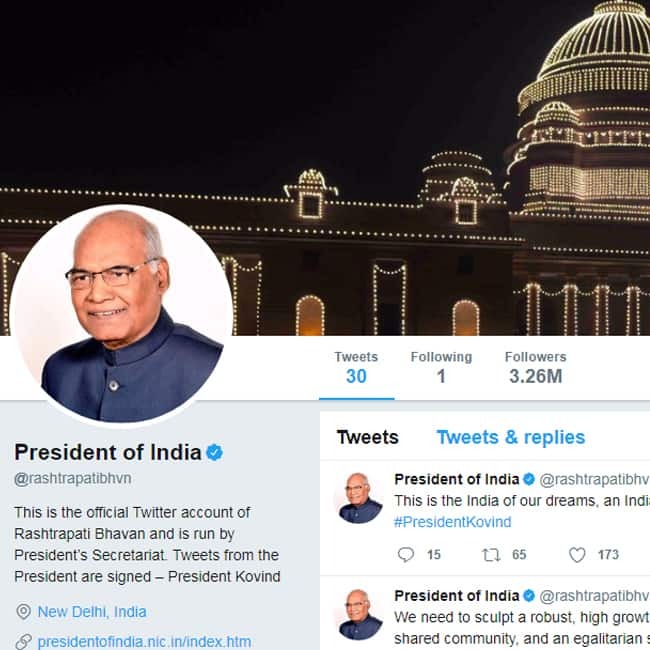 A while ago, the display pictures had Mr. Pranab Mukherjee and it has been updated by the office as soon as 14th Prez Mr. Ram Nath Kovind took oath. “I will stand by and represent all 125 crore fellow Indians. I understand the massive responsibility that this is... After former Presidents from Rajendra Prasad to Pranab Mukherjee, who all have been great leaders, I hope to live up to that greatness”, as President Kovind takes oath. Next Gallery > Pranab Mukherjee's inspirational quotes!